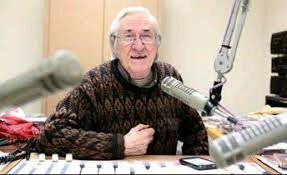 The name Fred LeBlanc may not sound familiar to most around the greater Boston area but his adopted radio born namesake Skippy White would most likely ring a bell. 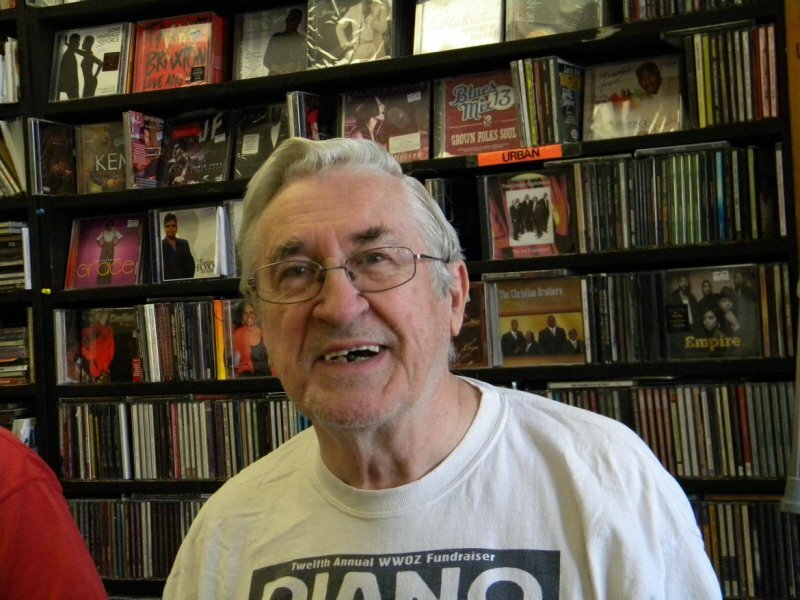 Skippy may be remembered as a disc jockey on WILD am1090 but more likely for his record stores and encyclopedic knowledge of R&B and the Blues — not to mention the vast collection of music he has been retailing for over 50 years. 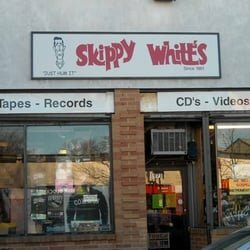 Skippy White was born in 1936 and grew up in Waltham, MA, with the music of the 1950’s. He was not particularly enamored with the music of his youth, and sought out a different sound and feel from what he was hearing on the radio at the time. 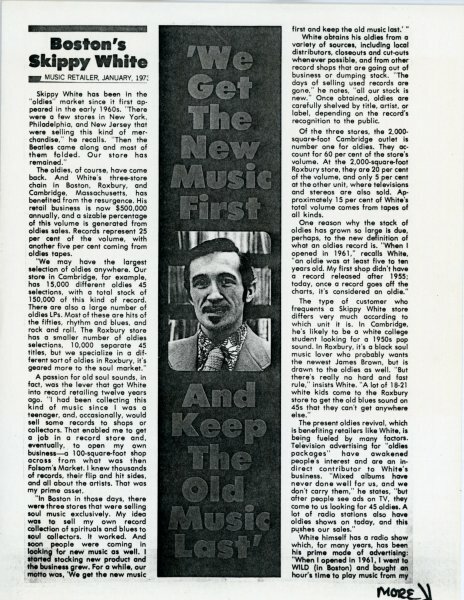 In Skippy’s own words: “In 1953 I was tuning the dial on my radio, and suddenly found WBMS, Symphony Sid was the DJ. He was playing the Orioles’ ‘Crying in the Chapel.’ I was floored!” Skippy started collecting records from the genres and fell in love with R&B, Gospel, and the Blues along with the artists that produced the music. Most white kids were not collecting records from R&B artists but the beauty of music is that it’s blind and doesn’t discriminate or filter its listeners. 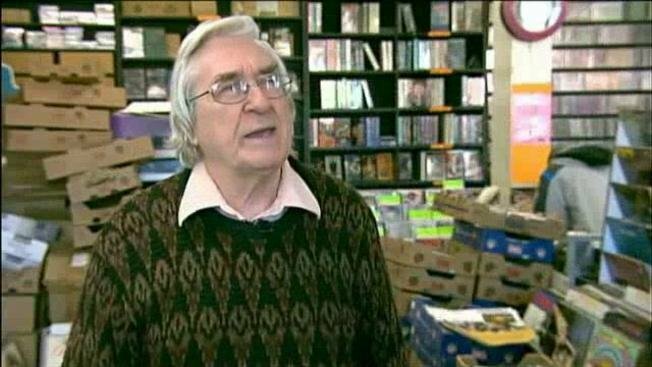 Skippy knew what he loved and wanted to hear and collect whatever he could get his hands on — at times even keeping his collection in the trunk of his car! In the early sixties, Skippy was attending Boston University when he lost his day job, forcing him to drop out of school, an event that would change the direction of his life for good. Consequently, White landed a job at Smilin Jacks’ College Music Shop on Mass Ave, which was the beginning of his roots as a music retailer. The desire to play music — not just sell it — is what lured Skippy White into radio and inspired him to apply for a disc jockey job at WILD in 1961. Skippy talked the management of WILD into giving him a two-hour Rhythm & Blues show on Saturday that eventually aired Sunday as well; it was around this time Skippy changed his name from Fred LeBlanc to Skippy White (“Leblanc” meaning “White” or “The White” in French.) The popularity of the music White played helped turn WILD into an all-Black formatted station. The real benefit was that he could play the music he loved — in turn giving him the idea of opening his own record store — and that’s just what he did. Skippy named his first store Mass Records – The Home of the Blues, located at 1820 Washington Street. Being able to play and expose listeners to the music he sold in his record store was instrumental to the store’s success, so much so that White opened a second store in 1962, naming it after his nom de radio, as customers came into the store wanting to meet the man they heard on WILD. The stores featured music available nowhere else and a host of rare finds, including being the first record store in town to sell the Sugar Hill Gang’s “Rapper’s Delight.” Skippy’s customers knew if they asked for something, he would find a way to get a copy of it for them. 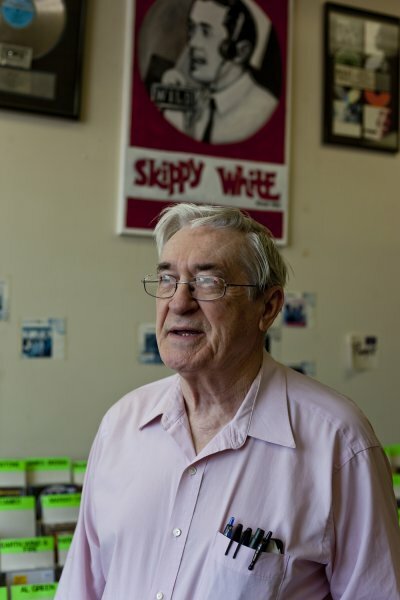 Skippy White’s record stores moved many times into different locations over the years; the latest stop, since 1992, is in Egleston Square at 1971 Columbus Avenue. 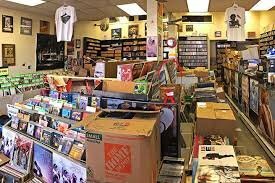 What hasn’t changed is the uniqueness of the product and the unparalleled knowledge of the music historian and owner, no matter where his stores have turned up. 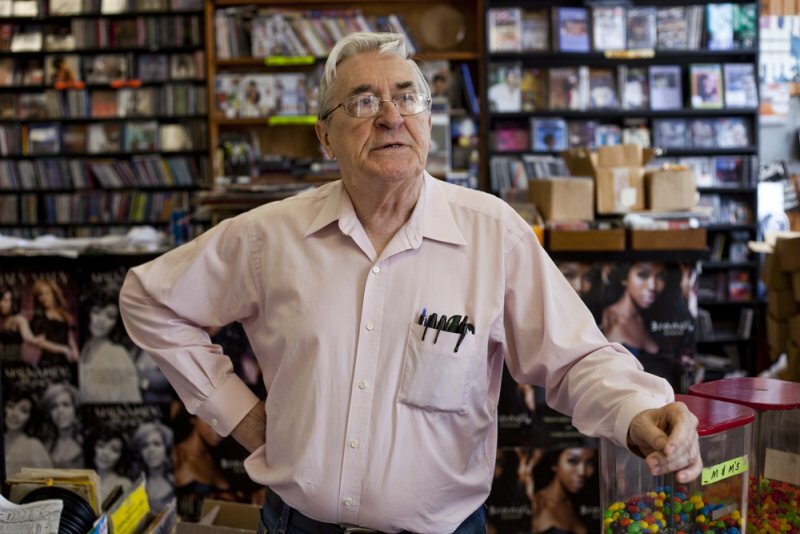 The stores were there amidst the race riots in Boston in 1967-68, as well as the assassination of Dr. Martin Luther King in April 1968, all the while Skippy remaining a respected presence as a white proprietor in the city’s predominately black neighborhoods. In 2014 he was honored as a community hero by the African American Ball of Boston. Over five decades in, I think it is safe to say: Mission accomplished.